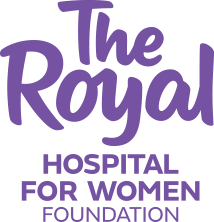 With your help we can honour the staff and the valuable work they do to ensure the ongoing continuity of care and commitment to excellence at The Royal Hospital for Women, for generations to come. If you are in a position to help build the Foundation, please complete the below donation form. Your personal message will be shared with the staff member or ward, to let them know how much you appreciate them. Your personal message will be shared with the staff member or ward, to let them know how much you appreciate them. You will receive a tax-deductible receipt to your email inbox immediately.